Below is a link to an on-line article I wrote for my local newspaper, regarding the wild boar. The on-line edition will only be available for one week, so I have pasted the article below also, for future reading. Your comments will be appreciated and please feel free to say what you want, without being insulting of course, as I value all opinions. Rob Ward has been photographing wildlife in the Forest for years. His views are based on that long experience. Header: They’re just saying back off. End of story. 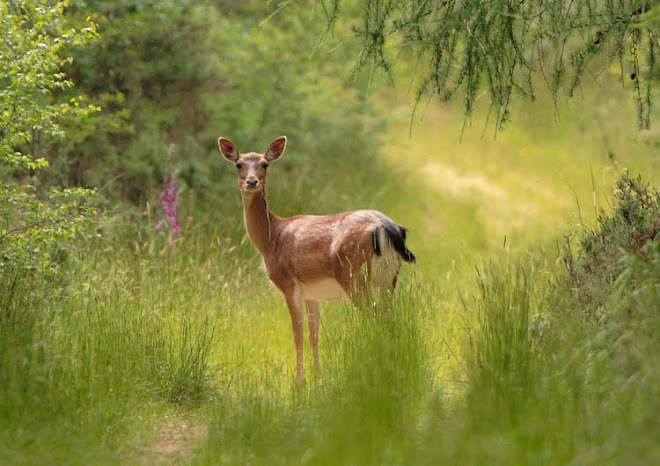 Sub-header: Can we co-exist in the Forest? Probably not! SOME of the recent reports of charges and attacks by the boar just don’t quite add up and I would like to address this. I am not calling anyone a liar or disputing their concerns but this is now a very controversial animal and the whole facts need to be given, not exaggerated and they need to be precise. Firtly, the recent report by the cyclists said that they were apparently charged by a male boar. They said that the boar started charging from about 30 yards away and that they had to pick up and carry their bikes to a fence and throw them over then obviously climb over the fence themselves. I have seen wild boar run and believe me they are fast, getting up to speeds of 25mph in very short distances. If the two people on bikes were that close and if the boar really did charge them, they must have been on top of the fence or they must be Olympic-quality sprinters because if this was a charge, the boar would have reached them in seconds. Secondly, the dog, which was butted at Boys Grave recently. If these boars wanted to hurt this dog, the husky would have either been gored or even killed. The boar butted him, this was the boars way of saying go away! This was not an ambush and, in my opinion, it certainly wasn’t an attack. The owner had the dog on a lead and was able to pull him away. If wild boar hate all dogs and attack every time they see one, why didn’t they do it on this occasion? If they wanted to hurt that dog then they would have - end of. Wild boar have approached me on numerous occasions in the past. On two separate occasions I have had a sow (with piglets) run towards me. Once I was on my own (I have it on video) and once with a friend, (I have pictures). So I can understand how it can be frightening for people who have not experienced it before. But remember, wild boar have poor eyesight. They can see you, but they need to get close to see exactly what you are. They can only distinguish blue from the three primary colours and if they have dependant young, their first instinct is to protect and chase away a possible threat. In my experiences as soon as they identify us as human they will stop and then move away with their young. Never, in more than 50 sightings have I ever been charged. During the severe snow of January 2010, with a friend I tracked down a sounder of between eight and 10 wild boar. We were off the main path and it was very hard getting around with the amount of snow. We spotted them rooting under a group of trees after about 10 minutes of searching, so we decided to get as close as possible. With my video camera I moved to within 10 metres before one of them spotted us. Within seconds of seeing us they ran about three metres and then stopped, looked back and ran again, this time disappearing. If you have a dog with you, then it is a different ball game. They don’t see a domesticated friendly dog, they see either a hunting dog or a wolf. Their natural instinct has taught them not to run from these animals but to stand and fight to protect themselves and their young. They are very good at it too. Will an unprovoked wild boar charge and attack a human? Yes, I believe it is possible as they are wild animals and anything is possible, but looking at statistics from around the globe, it is extremely rare. Hunters from other European countries have maimed wild boar with a poor shot and subsequently been attacked, sometimes even killed. However, this is a different scenario as the boar becomes a wounded animal which is capable of defending itself, so an attack is inevitable in these circumstances. 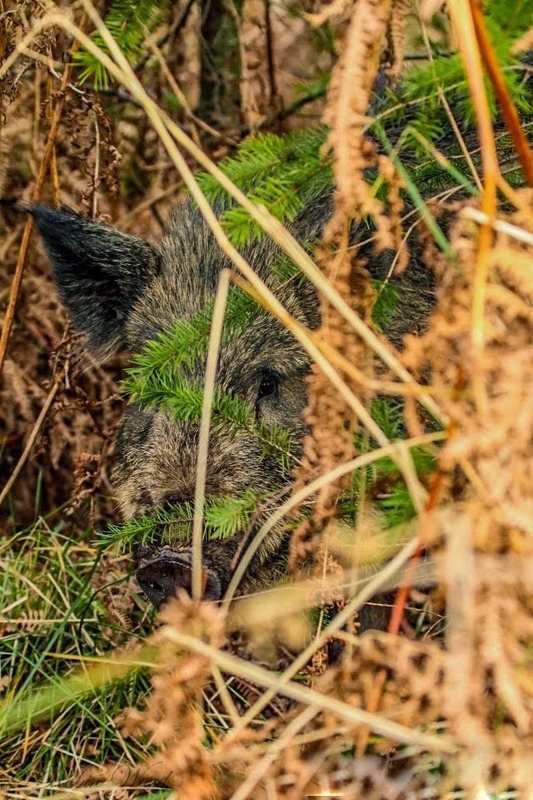 Can we co-exist with the wild boar in the Forest of Dean in the 21st century? No, probably not as history has a habit of repeating itself. Its only a matter of time before the wild boar are once again extinct from our forests and just a memory. Not hunted to extinction like they were in the 17th century, not chosen by nature, but eradicated through our intolerance of change and our inability to learn and adjust. Well said, though probably and sadly a futile saying. They are shy animals and deserve protection from the biggest and most ignorant of predators us. Keep plugging away, some will listen. Precisely Adrian, well said. Thanks! Not read the newspaper article yet but yet again it seems like wildlife is the scapegoat for human's (and our understanding of our own dogs) inadequacies. Thanks Davo, will do you can count on it! I don't know the complete situation over there. I know humans and their dogs do stupid things when wild animals are concerned, and of course newspapers love to build up attack stories, but we must co-exist. If certain individual boars are attacking (gone crazy, been hurt or other reasons), then they probably need to be removed, or if the pig population is too big (due to no predators) it may need to be culled. Now with nature so surrounded by humanity, it's a fine balance when it comes to wildlife management.